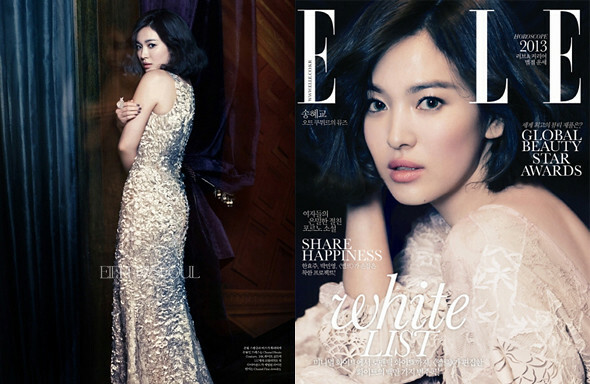 The beautiful South Korean actress, Song Hye Kyo (송혜교) was photographed by Hong Jang Hyun for Elle Korea January 2013 collection. In the beautiful editorial entitled, 'One Step Closer', she wore garments and jewelry from Chanel. Channeling the flapper fashion, check out the Elle cover girl!